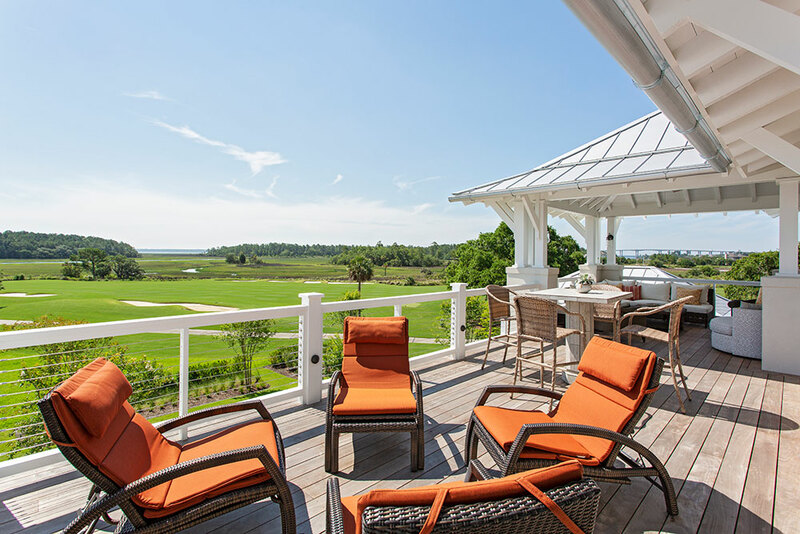 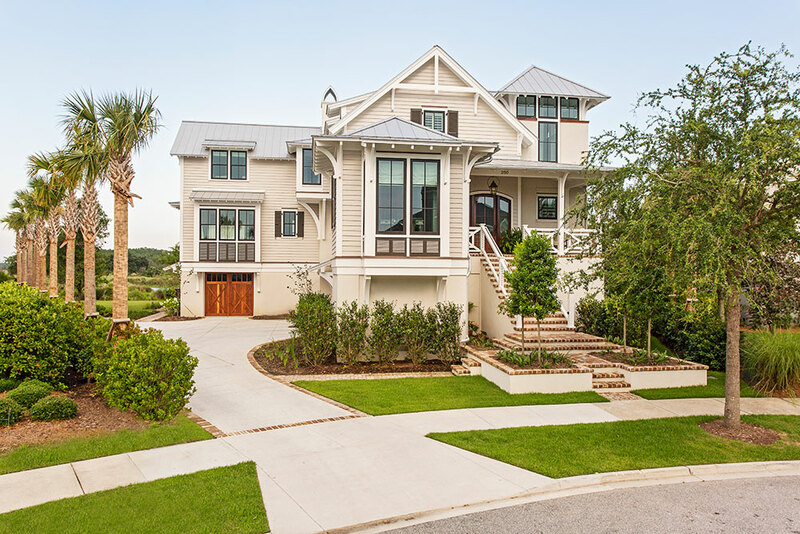 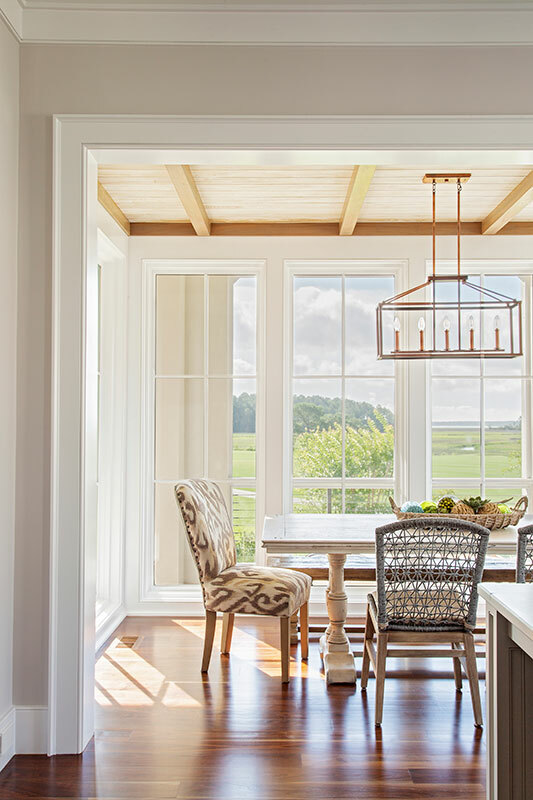 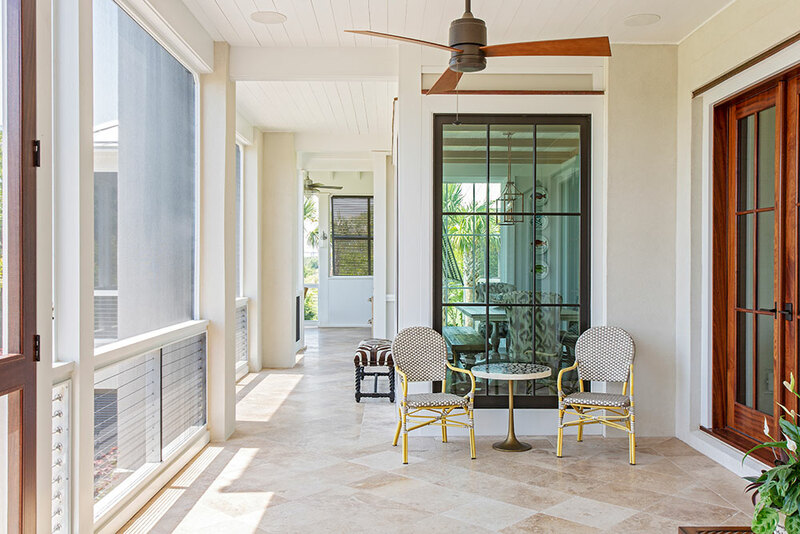 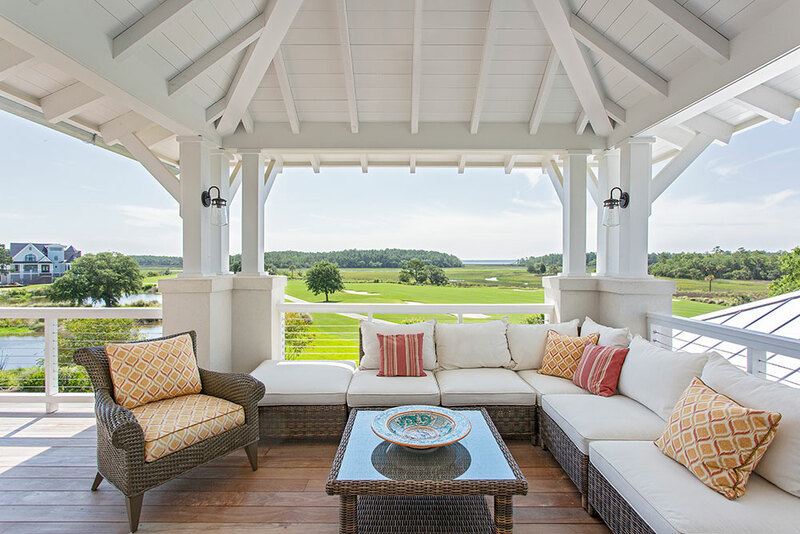 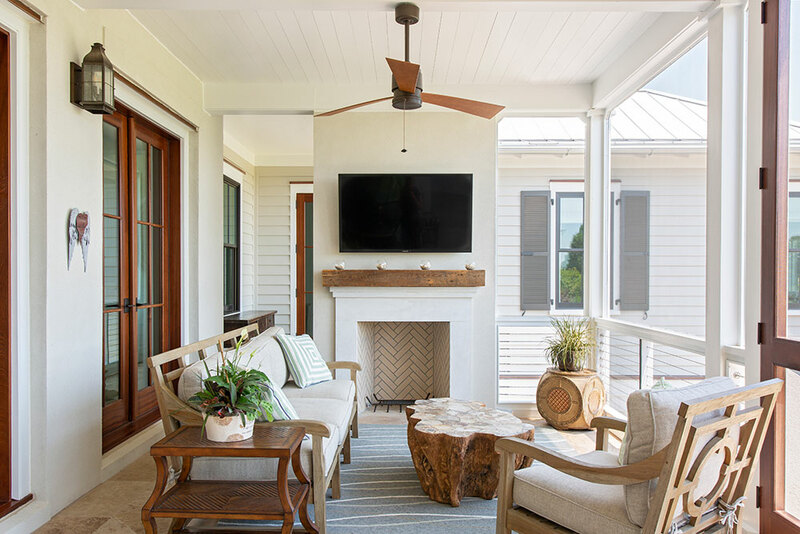 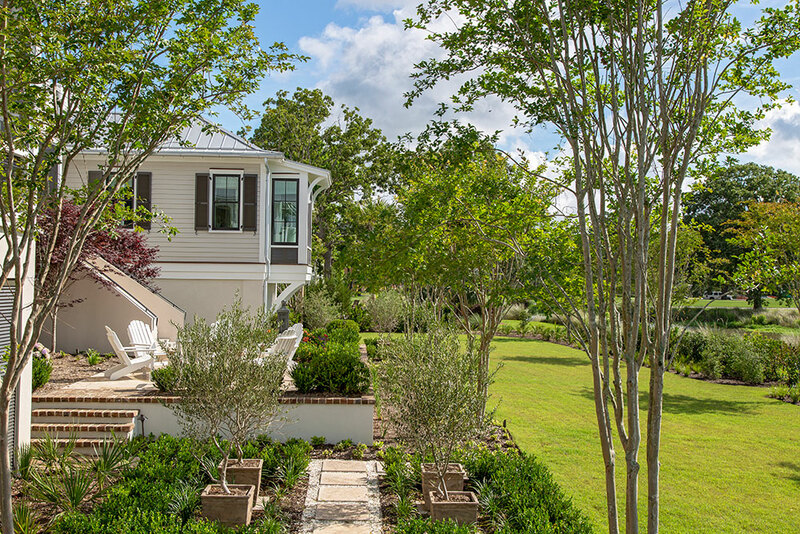 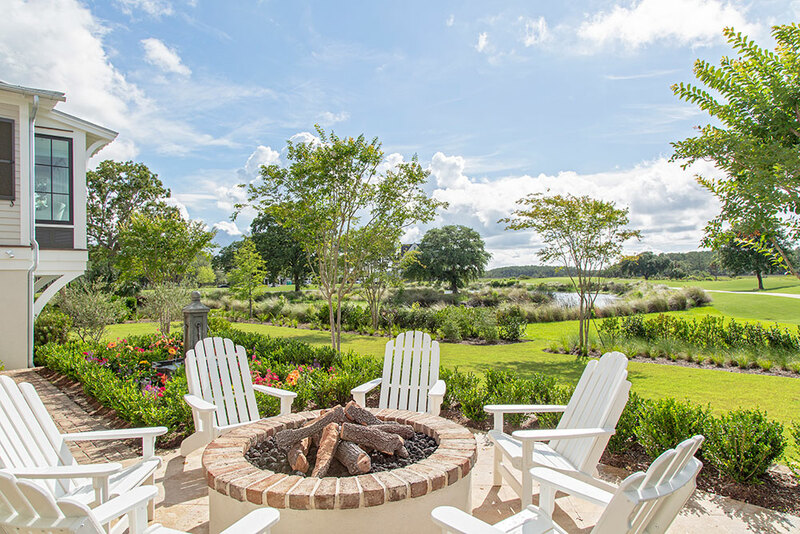 This elevated Daniel Island home accommodates expansive views out onto the golf course and marsh of Ralston Creek, providing the ideal backdrop for entertainment both indoor and outdoor. 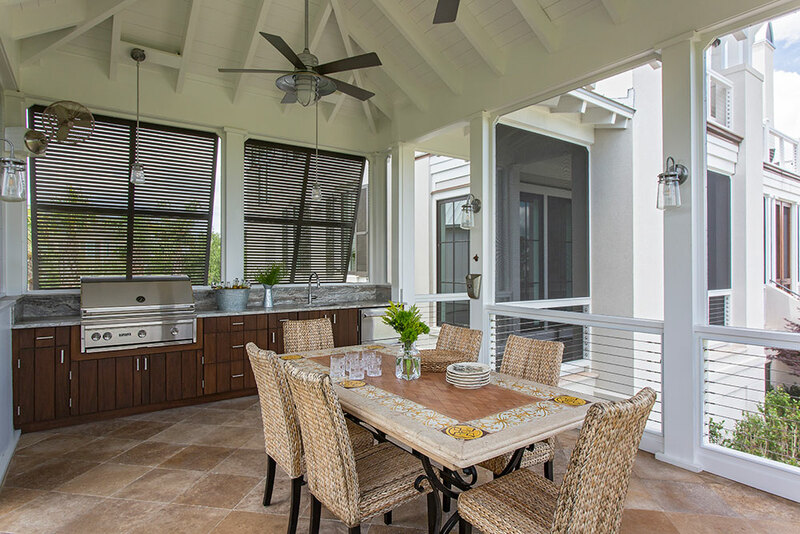 The rear raised lawn and fire pit brings you up to the double story outdoor living spaces equipped with an outdoor kitchen. 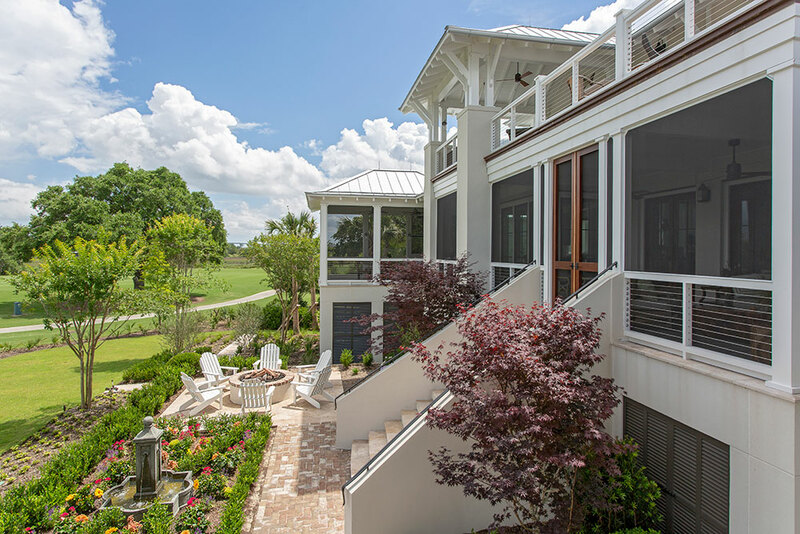 The stucco stair tower rises from the foundation providing textural contrast with the main horizontal board finish. 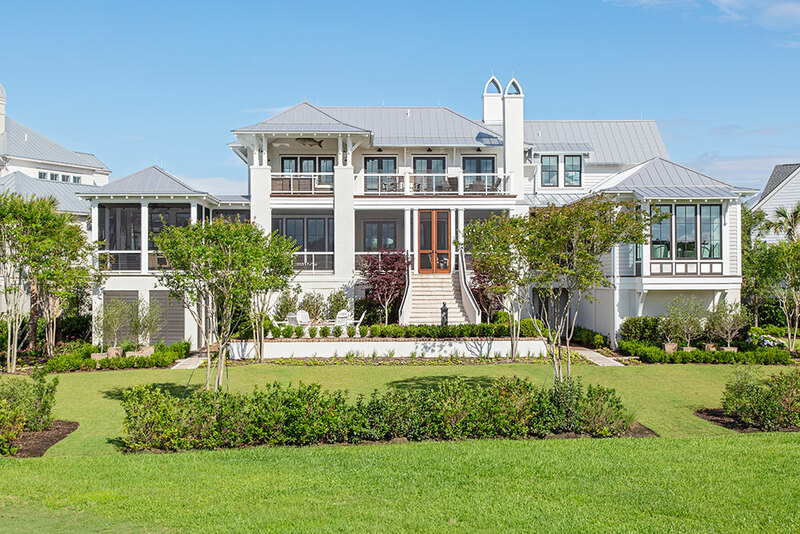 All overhangs and cantilevered elements are supported by bracket details surrounding the home. 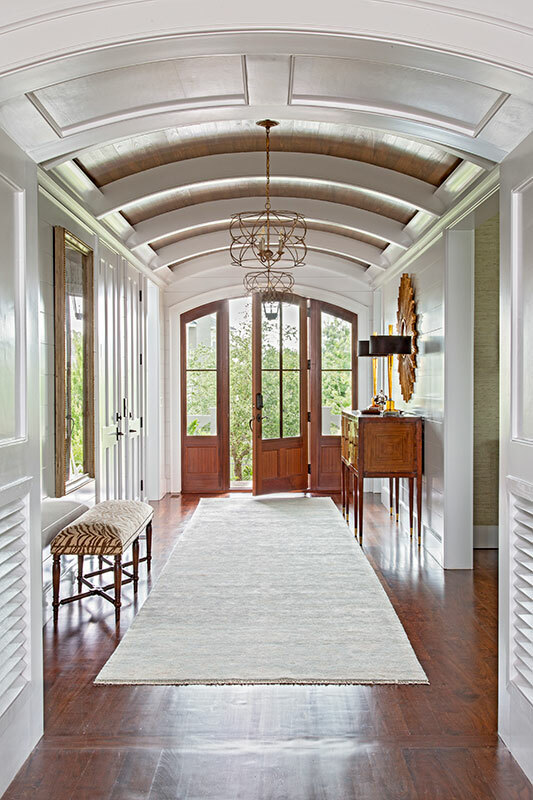 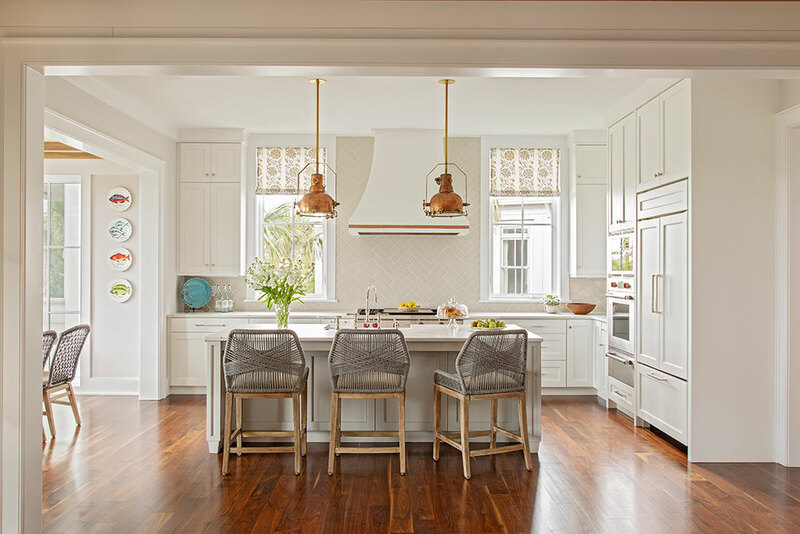 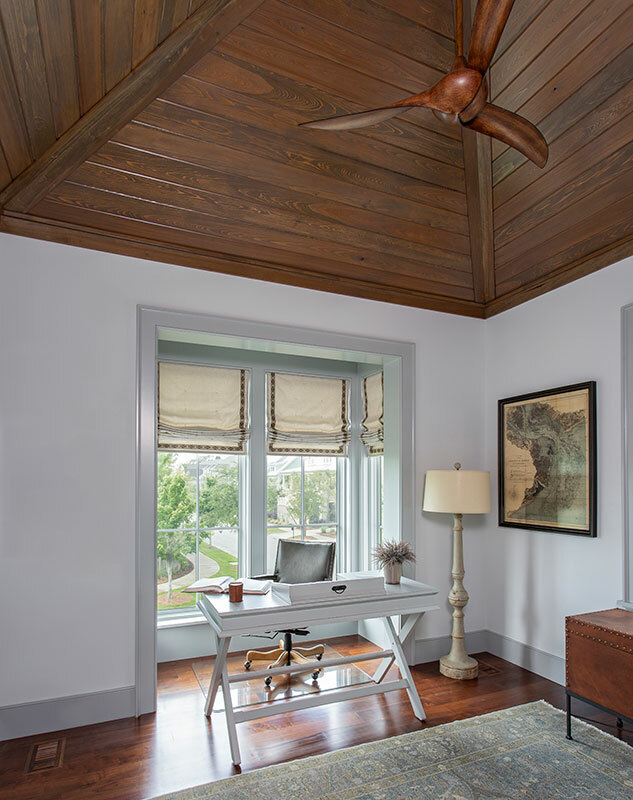 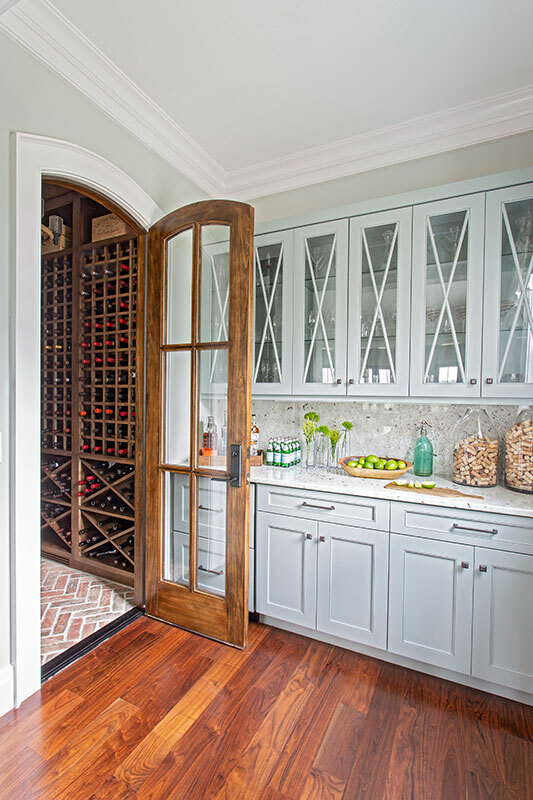 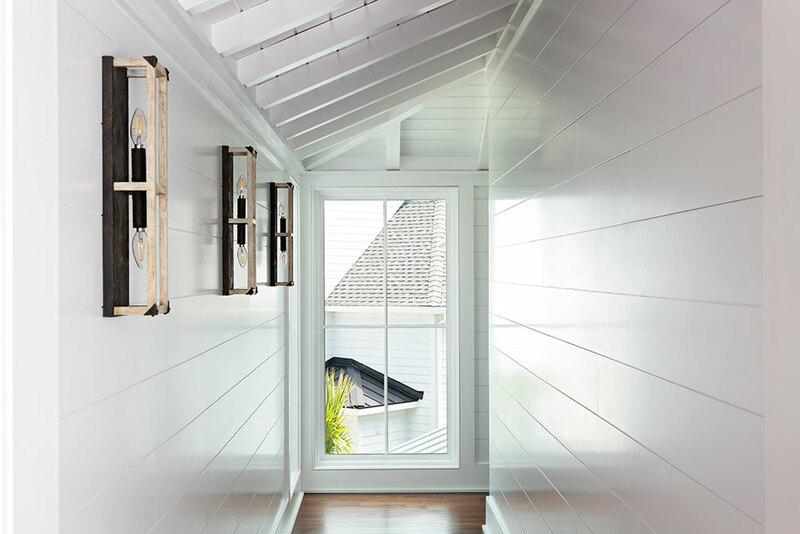 Inside are wood details finely crafted throughout - wood beams, shiplap walls, and coffered barrel arched ceilings.